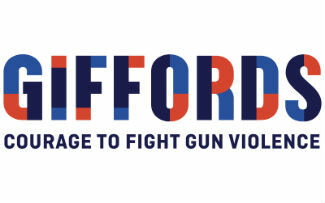 Giffords, the gun safety organization founded by former Congresswoman Gabrielle Giffords and Captain Mark Kelly, announced its endorsement of Don Beyer in Virginia’s eighth congressional district, Gerry Connolly in Virginia’s 11th congressional district, and Donald McEachin in Virginia’s fourth congressional district. Congressman Don Beyer has made gun violence prevention one of his top priorities. Congressman Beyer supports expanding background checks, repealing legislation which grants the gun industry legal immunity that no other industry enjoys, preventing stalkers and abusive dating partners from possessing firearms, and enabling the federal government to research gun violence. He also helped introduce legislation allowing the temporary removal of firearms from individuals in crisis—legislation that could have potentially prevented the mass shooting in Parkland. In December, he voted against dangerous concealed carry reciprocity legislation, protecting public safety by preventing potentially unlicensed, untrained individuals from carrying guns in more places. Congressman Gerry Connolly has committed himself to protecting his constituents throughout his time in Congress. An early proponent of legislation to address assault weapons, Congressman Connolly supports expanding background checks, preventing abusive dating partners and stalkers from accessing guns, allowing the federal government to research gun violence, and banning bump stocks. In December, he voted against concealed carry reciprocity—the gun lobby’s top legislative priority—which would make it easier for potentially untrained, unlicensed individuals to carry hidden, loaded guns in more places. Congressman Donald McEachin has a long history of standing up to the gun lobby. He supports legislation to require background checks on all commercial sales, keep firearms out of the hands of domestic abusers and stalkers, restart federal research into gun violence, and enact extreme risk protection orders. Congressman McEachin has repeatedly voted against concealed carry reciprocity— the gun lobby’s top legislative priority—both in the Virginia senate and the US House of Representatives. “America experienced three of the deadliest mass shootings in modern history in just the past year. Over 38,000 people in our country were killed by a gun. Virginia has not been immune to this deadly crisis: somebody is killed by a gun in Virginia every eight hours. Despite this devastating reality, the gun lobby has used its cash and influence to stifle any attempts to pass laws on Capitol Hill to make our schools, streets, and communities safer.